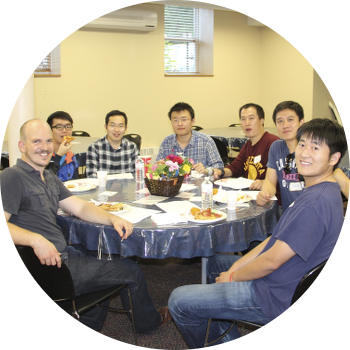 Every month we get together as International and Domestic students to have fun, relax, and learn about other cultures around the world through topic discussion, sharing food, and games. We have free food or we invite you to bring a dish from your country. Thursday night is a time for you to leave homework and the stress of school behind and connect with other students during our weekly meeting. We have a time of powerful worship and then we hear a message connecting what God teaches us in the Bible with your daily life. How do you make new friends? By having fun experiences together! We help you experience Minnesota through kayaking, scavenger hunts, rock climbing, shopping at the outlet mall and other fun events that you won't want to miss. See what upcoming events we have. Looking for friends to walk with you during your UMN years? Our campus group believes that everyone needs a family when they are away from home. We eat together, play together, learn together, and do life together. 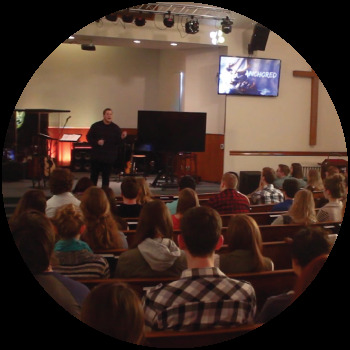 We are International and American students, both those who are curious about faith and long-time Christians. Chinese, Indian, Jordanian, Italian, Malaysian, Brazilian, Kenyan, Argentine, Oman, Hmong...All ethnicities and nationalities welcome! Are you new to the University of Minnesota? Email us at xaiumn@gmail.com or click here to fill out a form.